The legendary half-demon superhero is back this April, but not as a continuation to the 2004 and 2008 fantasy-heavy Hellboy films by visionary writer/director Guillermo del Toro. Instead, this movie reboot has a darker tone, much more grounded in horror (Rated R in America), and is composed of a new cast and a new creative team that includes Mike Mignola, the creator of the Hellboy comic books, acting as a co-executive producer. 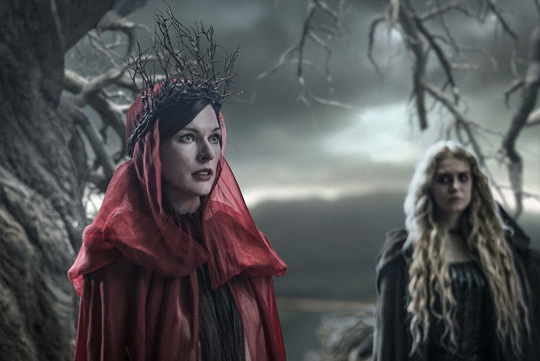 While in pursuit of the giants, Hellboy encounters Nimue the Blood Queen, played by the stunning Resident Evil star Milla Jovovich. This vengeful 5th-century sorceress wants to get him on her side so that together they can end mankind. While the movie will show some explanation on the background of Hellboy – that he was summoned from the depths of hell on a stormy island off the coast of Scotland – it begins right in the middle of the action. It is also “truer to the comic,” says Mike Mingle, “in that Hellboy’s been out in the world, not a top-secret, hidden away guy." He has a “been there, done that vibe”, a trait that Mignola patterned after his father, a Korean War veteran. 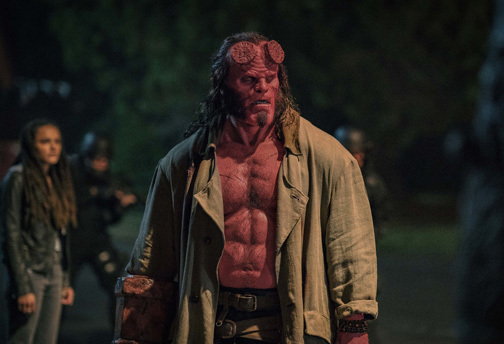 Hellboy is filled with incredible action and Harbour prepared well for it, saying that “It’s the most physical role (he’s) ever played.” Hollywood trainer Don Saladino put him through “a rigorous 10-week boot camp, involving kettlebells, medicine balls, machine weights, dumbbells, and weighted sleds―and that was just to kick things off”. Hellboy opens in cinemas tomorrow, April 10. From VIVA International Pictures and MVP Entertainment.